Panoramic Universal Ltd. has now branched out in the North eastern region, and is really excited about the acquisition of Grassland resorts in Kaziranga, Assam. We would be setting up the resort under our brand of United-21. The resort is located very much close to the Kaziranga National park, which is now a UNESCO world heritage site. Kaziranga National park is the homeland of the great Indian one-horned rhinoceros but also provide shelter to other wild animals. We can also find large breeding populations of tigers, elephants, wild water buffalo and swamp deer. 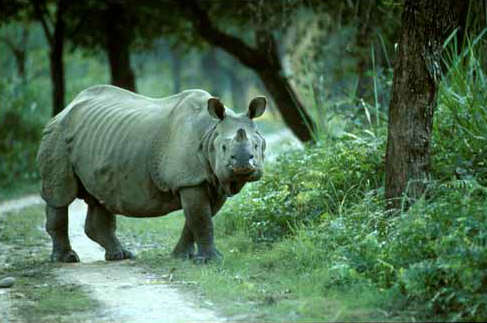 Few decades ago, the entire wetlands of the rivers Ganga, Indus and Brahmaputra were populated with one-horned rhinoceros, but now there are very few places where we could find them. At United-21 Grassland resort, Kaziranga we are planning to start guided tours and safari for our guests. We would also be offering many facilities which will feel our guests a homely feeling. When you would be spending your time in your rooms/cottages, which are furnished with eco-friendly material you would have a true feeling of paradise. We are also planning to make your dining experience pleasant by offering many options like dine on table under palm trees, pool-side barbeques & canvas umbrellas under garden. Other than the above mentioned luxuries, our guest would be able to enjoy other services including boating, swimming pools and gymnasium. We would be adhering to all wildlife and eco tourism responsibilities and commit to use tourism as a purpose to conserve environment and wildlife. Do check for our updates here or our facebook fan page, or follow us on twitter or plus1 us on Google. Labels: Assam resort, grassland resorts, hotel united-21, kaziranga national park, Kaziranga resort, one-horned rhinoceros, Panoramic Universal Ltd.